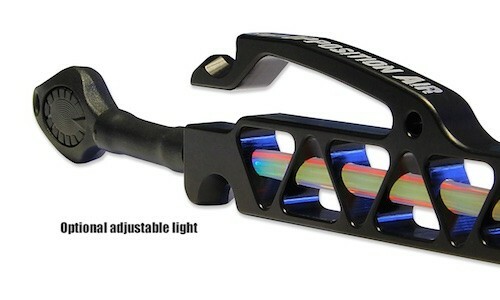 Opposition Bow Sights, engineered for hunting. Opposition sights from Schaffer Performance Archery will survive the traveling, the brush busting, and the slips & falls of hunting so you can make the shot when it counts. Opposition sights were designed to do one thing, help bowhunters put meat in the freezer and horns on the wall. 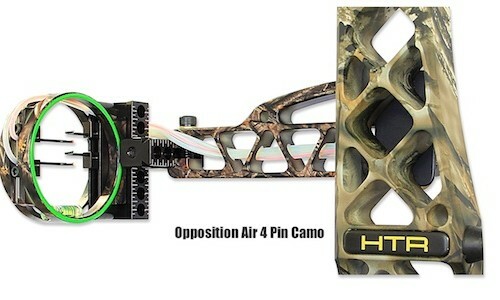 Available with 4-pins or 6-pins in quick detach or hard mount versions with Mathews® Lost Camo or black anodized finish. Options include: Integrated light system, extra fiber optic pins, and non-fiber optic stainless steel pins. Opposing Pin Technology to provides a level of personalization that has never been available in bowhunting sights until now. 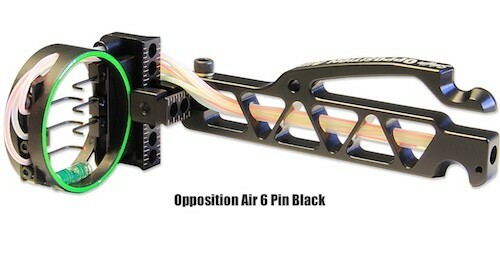 This unique pin arrangement allows for a wide range of customization while bringing balance to your eyes and sight picture. Remove and install your sight in seconds while maintaining a true zero. Unlike traditional target style dovetail mounts you’ll always lock on the same exact spot. Pivot Lock Attachment is designed for traveling hunters or anyone wanting to remove their sight. Optional light system integrates with the sight arm transferring light directly through the pin fibers. Engineered to withstand hunting conditions and bow vibration. Controls are placed for easy access with riser or sight mounted quiver systems. © Schaffer Performance Archery. All rights reserved.